Is Shindler Brexit referendum case still under way? Is there any progress on the Shindler/Fouchet European court case about the Brexit referendum? J.S. 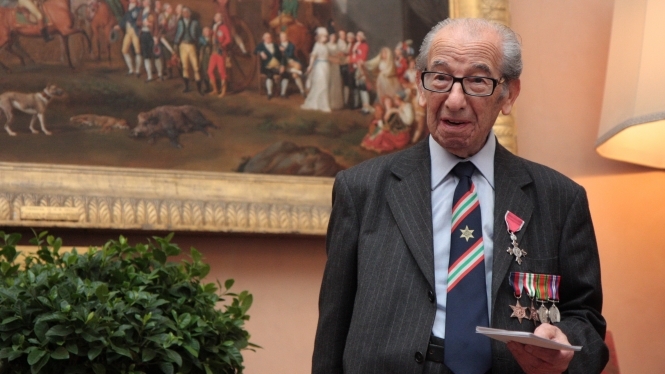 An appeal is under way on behalf of Britons in the EU including Second World War veteran Harry Shindler, and French barrister Julien Fouchet hopes that the rejection of the Brexit deal by British MPs last week may help to speed things up. Mr Fouchet’s case challenging the basis of the Brexit negotiations because long-term British expatriates were excluded from the UK’s referendum which led to them, was declared inadmissible by the General Court of the EU last year. It said the case was premature because no Britons in the EU were affected by the Brexit negotiations as Brexit had not happened yet. Mr Fouchet has asked the ECJ to take a decision quickly (in an ‘accelerated procedure’) due to the fact Brexit is imminent however he told Connexion he is still waiting for news from the court on this point. He said he is still hopeful it is possible to obtain a ruling that his case is admissible before the expected date of Brexit (March 29, 2019); however a full hearing on the facts of the case may now have to wait until later. He added that such a ruling might include remarks on principles of EU law which would help to ensure Britons living abroad in the EU were allowed to vote in a new Brexit referendum, if one takes place. He said the risk of a no-deal Brexit, or otherwise of one in which EU citizenship rights of Britons are not fully respected, justifies the court’s decision being speeded up.